I wanted to make a trip to Costco this morning but it was pretty foggy out and I decided not to make the drive down to Sun Prairie. But, just so we did get some groceries for the house, my wife and I decided to make a trip across town to Aldi. To tell you the truth, I have been less and less impressed with that store every time I go there, especially since I just can't seem to find as many deals as I used to be able to. 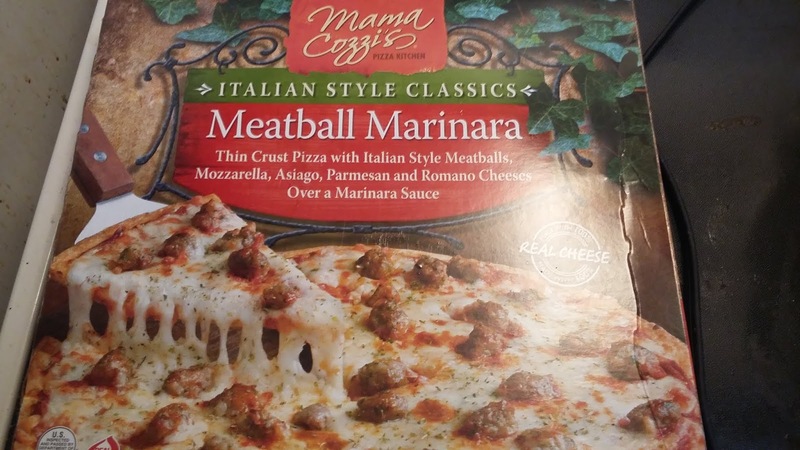 However, while there, I came across this pizza in their freezer section for $3.99. It looked decent so I decided to buy it and have it for lunch. Overall, I do have to say I was happy with this purchase. I wasn't a huge fan of the thin crust (I still prefer thicker crust), but the pizza did have some good things going for it. For one, I thought the quantity of toppings was sufficient, something that isn't always the case with low-cost frozen pizzas. I'm also including cheese in that statement. I've had way too many frozen pizzas that seemed to forget cheese was important. This one had more than enough to cover the entire pizza. I also thought the seasonings were decent on this pizza. A lot of times, we will get a frozen pizza and it will either be too spicy or kind of bland. This one fell nicely in between with just enough spices to give it flavor without over doing it. Final Opinion: I thought this was a good pizza at a reasonable price. In fact, it was probably the only thing I purchased today that would make me want to go back to Aldi.